Congratulations to my friend Carl Trent, also known as the creator of the site “Dad’s Guide to WDW” on his newest creation — WDW Magazine! This digital magazine is available over at the Apple iTunes store, and is full of great information about Walt Disney World. 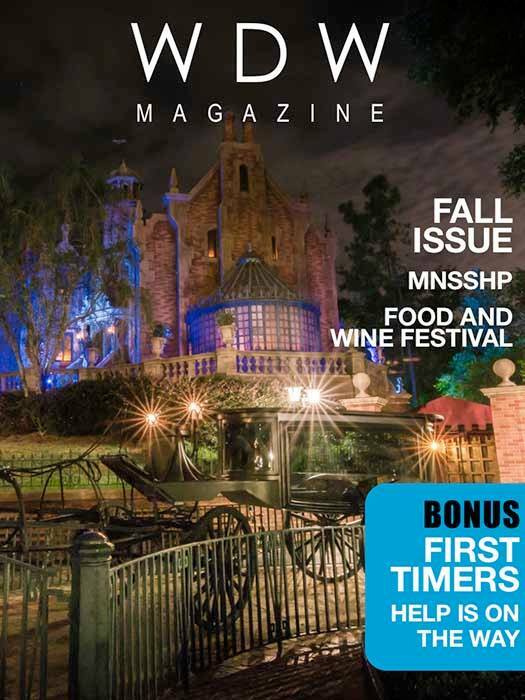 The image at the beginning of this post is of the new fall issue, which just came out today, and features a stunning cover photo from WDW Shutterbug — whose work you have seen on this site! You can purchase a single issue for $6.99. You can subscribe to a monthly subscription for $4.99 per month, and you can cancel at any time. You can subscribe to a yearly subscription for $47.99, which includes 14 issues (one per month, plus 2 subscription only bonus issues). If you want to check it out, click on the image below, and thanks for stopping by! Congratulations Carl — I am really impressed by the magazine, and believe that others will be also! Starting Tomorrow – My Disney World Countdown! I hope you like it Beth! The photography and articles are really cool, and it looks incredible on the iPad! Next Post: Exploring the Magic Kingdom Shows!